Samsung is bringing its 8K resolution QLED display technology to the digital signage industry. At the 2019 Integrated Systems Europe conference in Amsterdam this week, Samsung unveiled a new 82-inch QLED 8K Signage display featuring Artificial Intelligence-based upscaling technology capable of rendering lower resolution images into something that closely resembles 8K. 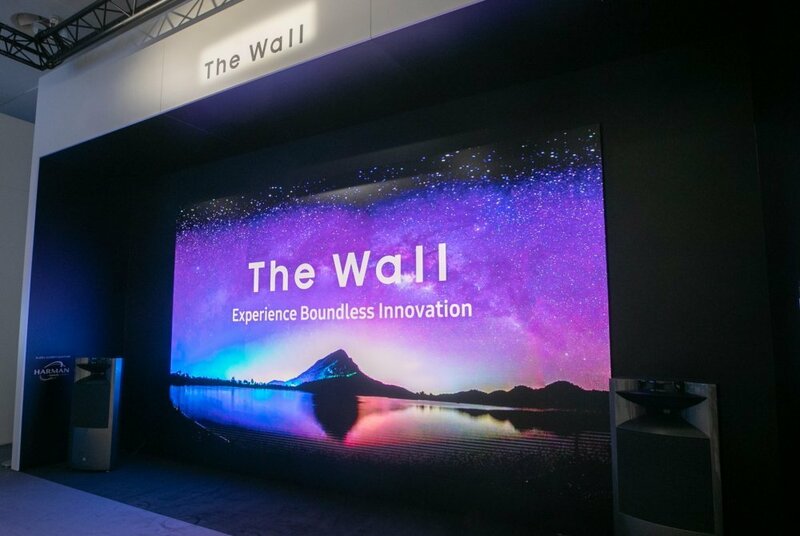 The company simultaneously announced it’s planning to ship an enormous 292-inch version of its famed “The Wall” TV that’s also designed for advertising purposes. 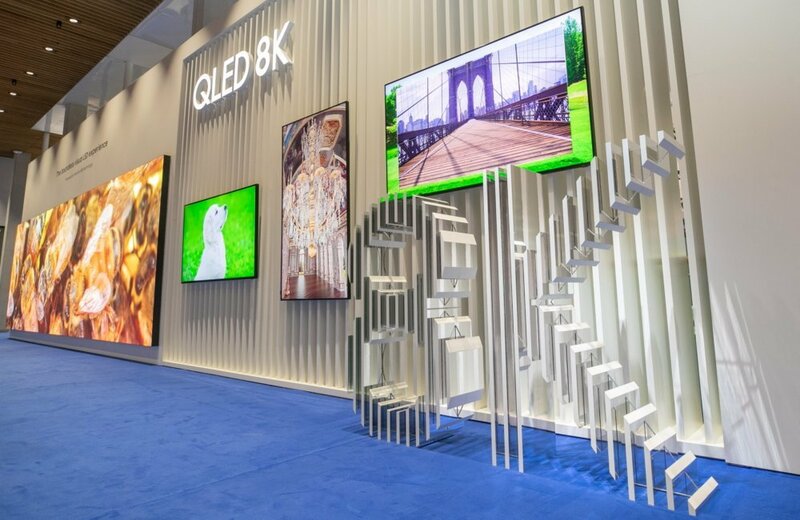 The idea with the new 82-inch QLED 8K Signage, Samsung said, is that store owners and advertisers will be able to produce content at lower resolutions, and therefore lower costs, then use the displays to show their content at the highest resolution possible. The signage sports a super slim design at less than 40 millimeters deep, and offers both portrait and landscape viewing modes that help it to blend into a range of environments. It also features local dimming and Quantum Light Control technology to deliver enhanced blacks, and supports HDR10+ to deliver the most crisp images possible, Samsung said. As for The Wall TV, this was originally designed as a luxury consumer item that’s able to blend into its surroundings thanks to its bezel-less design. But Samsung has acknowledged that the design could also be useful for advertising purposes, hence its decision to offer a humongous 292-inch version. One of the best things about The Wall is it comes with an “ambient mode” that allows it to display a collection of content such as photos and art, as well as regular video or streaming content. In other announcements, Samsung said it’s introducing a new technology called Multi-Link LED HDR for 8K resolution displays. Multi-Link LED HDR uses special algorithms and scene analysis technology in order to transform any content into HDR quality. It also comes with Inverse Tone Mapping and Dynamic Peaking technology that’s able to maximise the brightness and contrast ratio of the full screen by doubling peak luminance. There’s also a Colour Mapping feature that provides an adaptive colour gamut for more vivid LED colours. Next up, Samsung unveiled its new OMN/OMN-D digital signage series at ISE. These are essentially window displays that can also be used outdoors (assuming its not raining) and are designed to provide high visibility even in direct sunlight thanks to their 4,000 nit brightness level and high contrast ratio of 5,000:1. The displays, which will be made available in 46-inche and 55-inch sizes, are also said to be dust proof and offer protection against overheating, making them suitable for a range of businesses and environments. Finally, Samsung showed off its new QMR and QBR series of 4K digital signage displays, available in sizes ranging from 43-inches to 75-inches. These smaller displays are designed for smaller shops and retail stores, the company said.